Faux leather furniture seems appealing. It is inexpensive, doesn't use animal products and wears well. However, it has a number of disadvantages, especially when compared to other furniture options, such as real leather. Faux leather furniture is an alternative to real leather furniture. Faux leather furniture is designed as an alternative to real leather furniture. However, it does not stretch, breathe or wear like leather. Identifying faux leather furniture is not always possible just by looking at it or touching it. Always ask a salesperson for confirmation. Faux leather furniture is very durable, however, it does not develop the same luster and patina as leather over time. Manufacturing faux leather for furniture is more wasteful than using real leather. Real leather is created from cows processed for their meat and is, therefore, a by-product; faux leather is manufactured from man-made materials. Faux leather is not puncture or tear resistant, like real leather. 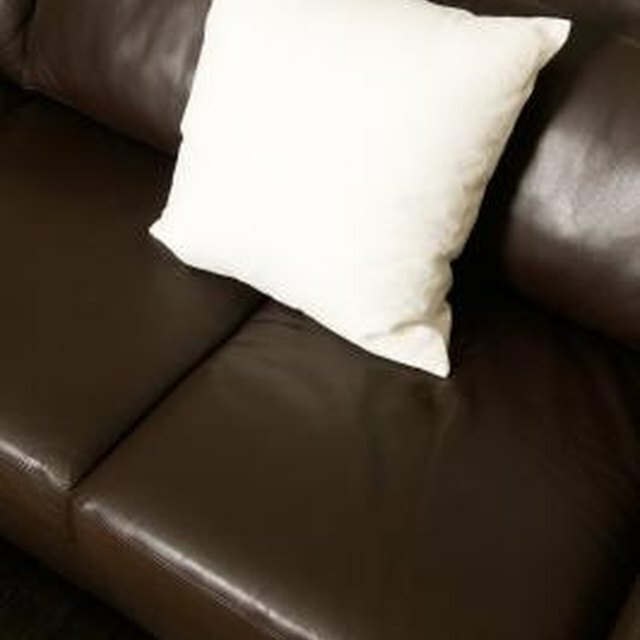 In addition, faux leather products like Ultrasuede® do not prevent dust and animal dander from entering furniture cushions, which is one reason why real leather is extremely beneficial to people with allergies.